Quick Breakdown: A low-fi retro platformer with simple but fun controls and gameplay with an added dosage of difficulty. 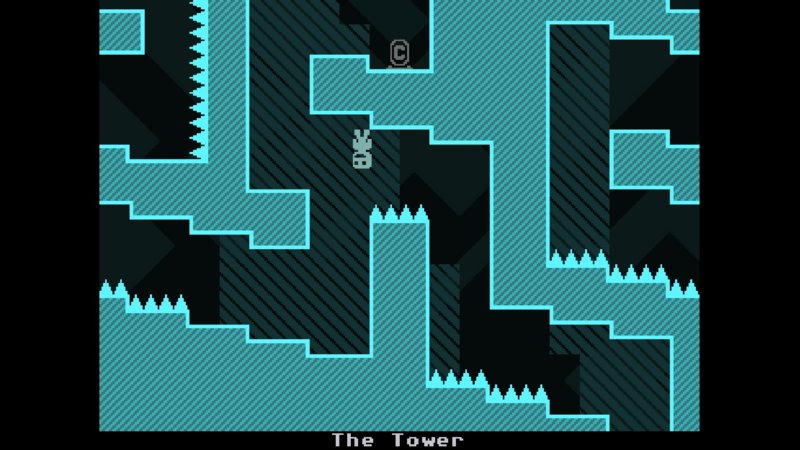 Full Review: Not much could be said of the gameplay of VVVVVV. You use the arrow keys to move left and right and the spacebar to flip the gravity. This gravity flipping gimmick is the core mechanic of the game, and as simple as it is, it’s also a lot of fun. 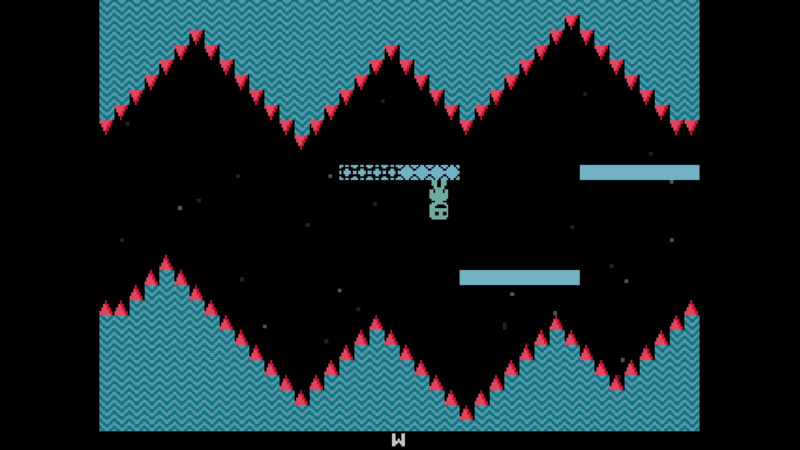 You use this flipping to navigate about the game’s map and to avoid obstacles and enemies. Let’s back up a bit for a moment. You play as Captain Viridian. You and your crew have been in stranded in another dimension during a spaceflight. You must find and rescue the other 5 members of your crew, and then get out of this alternate dimension and return to safety. (All of your crew members' names also begin with the letter V, which is one possible reason for the title). You must explore this other dimension to rescue your crew. As you explore the area your game map will begin to fill in, giving you a better idea of what areas you still need to explore. Exploring the world won’t take too long to do, but it’s still a fun experience. You won’t encounter many enemies in the game world, just an occasional ghost or what not. You aren’t able to kill the enemies, just avoid them. Thankfully they don’t actively try to kill you, they just move along a pre-set path. Most of the danger comes from the environment itself, such as spikes, and spikes, and more spikes. There’s a lot of spikes is what I’m saying. All of the enemies and obstacles will kill you in a single hit, which adds a nice degree of difficulty to the game. It’s nothing excruciatingly difficult, but you will die a lot. 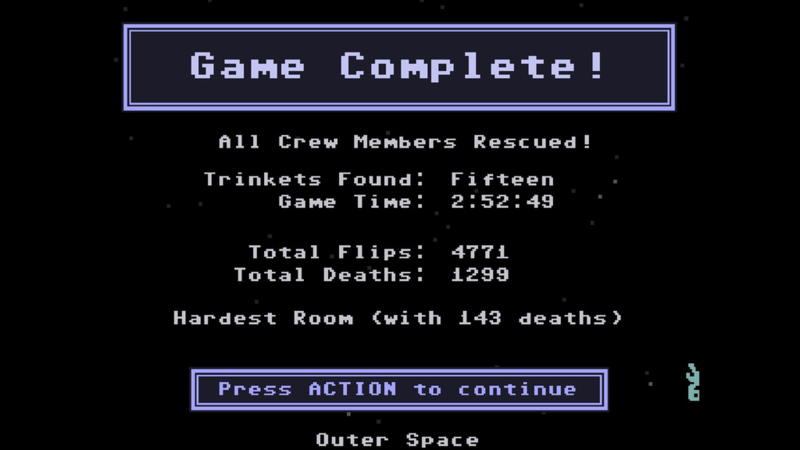 (My total deaths when I completed the game were 1299.) Thankfully checkpoints are scattered about the map fairly liberally, so the constant deaths don’t become frustrating. As you progress through the map there are additional elements introduced in the environment to interact with the gravity mechanic; moving platforms, disappearing platforms, lines that bounce you when you touch them, other lines that flip your gravity when you pass through them. Pretty simple stuff, but it’s put to good use. The game also has some pretty nice chiptune tracks playing in the background. It’s not anything that I would listen to on my own time outside of the game, but it makes for pretty good music while playing. 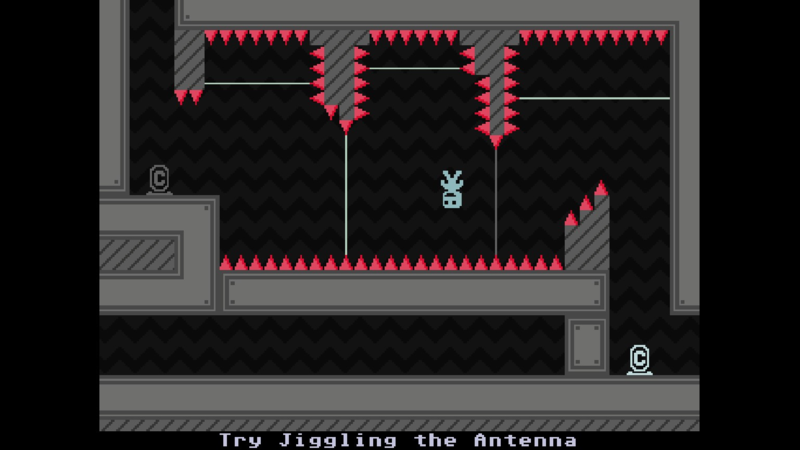 All said and done though, VVVVVV is a pretty strong platformer, and it’s worth the mere $5 asking price it sells for on Steam. If you’re feeling stingy, then wait for it to go on sale for less, but either way it’s worth getting.